1. 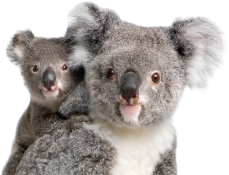 Wildlife Rescue Inc (WRI) is an Australia-wide, specialist volunteer organisation dedicated to the rescue of native animals. 2. WRI operates an emergency 24-hour Call Centre staffed by home-based coordinators trained to assist in all aspects of animal rescues. 3. Wildlife Rescue Inc. is a not-for-profit registered charity. It is a proud member society of Animals Australia, but is independent of any other organisation or Government body. 4. WRI began operating under the registered name “Wildlife Rescue Australia” on 1st Jan, 2018. Monthly Call Centre Reports since that date can be viewed here. 5. More information about WRI can be found in About Wildlife Rescue Inc.
• Always be careful when approaching a native animal, particularly if injured. • Keep well away from any animal that may be venomous or dangerous, particularly snakes, goannas, flying foxes or other kinds of bat. • Members of the public assisting WRI with a rescue are covered by Wildlife Rescue’s Public Liability and Personal Accident insurance policy.